"R" redirects here. For the manga, see Yu-Gi-Oh! R.
Rare (Japanese: レア Rea) cards are identified by usually having a silver card name and the image being not holofoil. The chances of getting one in a Booster Pack in the TCG is 1:1. In sets Flaming Eternity and later, Rare cards and cards of higher rarities can be found as Ultimate Rares. 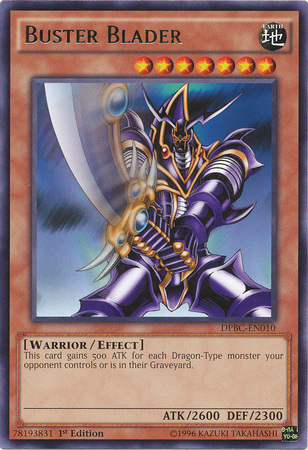 As of Duelist Revolution, Rares are now printed with a bronze-like card name instead of the previous silver, along with the universal change that the name plate is closer to the top part of the card, and the overall card does not contain the minute blots from the card printing press. There are also Colored Rares that are given away as Duelist League participation cards. Starting with DL09, the colors were Blue, Bronze, Light Green and Light Blue versions of the 20 cards in the set, while DL11, DL12 and DL13 have Green, Red, Blue, and Purple versions. The colors Black and White are also available in the TCG set, Battle Pack: Epic Dawn and Battle Pack 2: War of the Giants. In Yu-Gi-Oh! BAM, Rare cards and are identified by (Series 1), (Series 2) or (Side Series). These cards have a cost of over 100000 (except Series 1 Boss Cards), ranging from 20 to 250 or under 5. After the new shop update on August 8, 2013, these cards have a cost of over 75000 or 15 or more or 1. This page was last edited on 19 December 2016, at 00:35.